Centennial Glass Depot sells, repairs, and installs a full range of windows and doors, specialty glass, mirrors and more, for residential and commercial customers. We have been serving Ottawa and the surrounding areas since 1967. CANA Windows and Doors is the first registered dealer of Energy Star qualified windows in the Ottawa area. We provide free no-obligation consultations at your home or business and we supply only top-quality Canadian made products using the latest technologies such as solar gain and solar shield glass (Low-E hard coat or soft coat), Argon/Krypton gas filling, Foam-Injected Frames, Stainless Steel Spacers, Edgetech Super Spacer®, Magnetic Screens and more. And at prices that may surprise you. We have been serving the Ottawa area for 30 years, and we have been Accredited by the Better Business Bureau and rated A+ by them since January 1984. Vue Windows is devoted to offering quality products to the Ottawa and Gatineau region. The owner has been in the windows and sunroom business for more than 15 years. Our manufacturers are continually making improvements to our windows and doors as newer technologies become available. 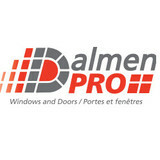 Our window systems manufactured by: Alpen Windows <a rel="nofollow" target="_blank" href="http://www.alpenhpp.com">http://www.alpenhpp.com</a> , P.H. 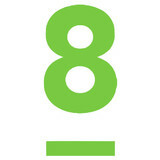 Tech <a rel="nofollow" target="_blank" href="http://www.phtech.ca/en/">http://www.phtech.ca/en/</a> , Rehau <a rel="nofollow" target="_blank" href="http://www.rehau.com/cms/servlet/segment/US_en/Construction/Windows_and_Doors/">http://www.rehau.com/cms/servlet/segment/US_en/Construction/Windows_and_Doors/</a> Inline <a rel="nofollow" target="_blank" href="http://www.inlinefiberglass.com/">http://www.inlinefiberglass.com/</a> Fibercraft Doors <a rel="nofollow" target="_blank" href="http://fibercraft.jalbum.net/Documents/">http://fibercraft.jalbum.net/Documents/</a> Vue offers complete window and door replacement solutions. We specialize in sales and installations of wood, vinyl (PVC), hybrid and fiberglass windows. We also carry a large line of fiberglass and steel entrance doors. From the beginning to end Big City W&D Inc. provides high performing windows and doors for home owners, renovators and builders through out Ottawa area. Our top qualified experienced staff will guide you through our easy step process to get your exact requirements and specifications for any and all windows and doors. We guarantee each of our employees are committed to find what best suits you, your home and your budget. We can promise you that we have many options and stand behind our product a 100 percent. All of our windows and doors at Big City W&D Inc. have a warranty, giving all of our customers value, comfort and peace of mind. Big City W&D Inc. stands for exceptional and reliable customer care, reasonable rates and producing the best possible design, options and products for you. We invite you to call or email to book a free quote today or visit our showroom! EuroStar manufactures windows and doors guided by its aim to offer products at a reasonable price with the quality and performance that will impress our customers. EuroStar is one of Canada’s most reputable windows and doors company. Our skilled services and wide variety of quality products have delivered homeowners across the country increased property value, improved curb appeal, and enhanced energy efficiency for many years, and we have gained praise for being a pleasant and professional company to do business with. Adding value to the home is a sensible course in light of the financial significance of home investment. When a house is well composed – balanced and attractive inside and from every angle outside – it personifies characteristics like integrity, grace and class. At Bowen Windows & Doors, we don’t simply sell windows and doors – we sell experiences! We understand that owning a home is a journey marked by changes and upgrades that need undoubtedly over the years be embraced by owners and appreciated by visitors. Doors A door should be more than merely an entrance, but a small means of expressing a warm greeting. More than that even, it should emphasize a sense of arrival, of comfort. Given the doors of your home mark an invitation into a private domain, choosing the right color, design and texture is essential to how people will experience the rooms in your home. There are unlimited styles at the heart of the essence of a room – spacious and light, cozy and intimate, minimalistic – but a consultation with one of our knowledgeable staff members will help to clarify what course is best for your home. To explore options ranging from solid wood, glass, steel or fiberglass to sliding or swinging patio and terrace doors, visit the Doors Showcase on our website. Windows People are innately drawn to light. It serves to sustain life on earth and, for its beauty, has an ethereal quality matched by few phenomena. In the home windows can work to invite light and lend a natural ambiance. The primary tool we use at Bowen to shape the home in ways you would never dream of is space. We can offer you every conceivable shape and size of house window: custom, bay, bow, awning, gliding, sliding, casement and for more, visit the Windows Showcase on our website Save Your Money and the Environment With the aim of ensuring minimal energy is lost through the windows of your home, each one of our windows is fitted with weather stripping applications and insulations; standard double or triple glazing; high-quality Low E coatings; and argon gas between the glass sheets to produce R values of 4 to 8. In addition to reducing harmful ultraviolet rays that can damage fabrics and furniture, our windows can help you save you by controlling the temperature of your home in the throes of a blistery winter or in the heat of sweltering summer. Lambden Window & Door (LWD) is one of the established leaders for window and door sales and service in the Ottawa and Valley area. Since established in 1987, the firm has experienced long-term success based on the quality of the products it sells, the high level of workmanship provided by its installers and the creativity provided when customized advice is required. Locally owned and operated, the Stittsville Windows and Doors team has over 75 years combined experience in the Window & Door Industry. We select only the Highest Quality Energy Efficient Products, with the Latest Technological Advancements and the Best Warranties in the Industry for OUR CUSTOMERS. From one window or door to a full house, we will recommend what’s best for your Budget, Timeframe and Project Installation needs, making the decision making process easier! We are a local Canadian Window & Door Dealer here in the Ottawa Area, that supplies quality windows and doors, with installation also. We only use Canadian material from wood, to steel to glass. At European Glass & Paint, we believe that it doesn’t matter who broke the window, what’s important is who fixes it. Since our beginning, we’ve focused on carrying quality products and providing the ultimate in personalized service to transform your interior or exterior space. Whether you’re looking for window coverings, custom shower enclosures, wall coverings, bevelled mirrors or glass repairs, our experienced staff is ready to help. Whether you need glass for a shower enclosure or window repair, European Glass & Paint is your source for new and replacement glass in Ottawa. A great way to dress up your bar, reception area, conference room or restaurant is to add accent glass with your custom design sandblasted or etched into it. And if you have mirrors or glass that is damaged, our service department can repair your windows and doors to like-new condition. Manotick Windows & Doors has been servicing and supplying Manotick and the entire Ottawa Region with quality window and door products for 20 years. Whether you’re building a new Nepean home, remodeling an old one or just replacing a few windows that are past their prime, your window dealer in Nepean, ON will help you pick the right windows for your needs, home style and budget. Windows come in so many sizes and types that expert advice and direction is invaluable in helping you make the best decision. These pros can also help you with custom window designs that complement your space better than something ready-made. Lastly, if you are interested in doors with windows, these experts are also knowledgeable about sliding doors, French doors and other paned portals. Find a window dealer on Houzz. 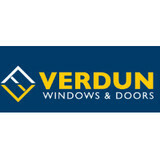 Narrow your search in the Professionals section of the website to Nepean, ON window dealers. You can also look through Nepean, ON photos to find examples of windows that you like, then contact the window professional who worked on them.